Hofstra Pride Guides: St. Baldrick's! 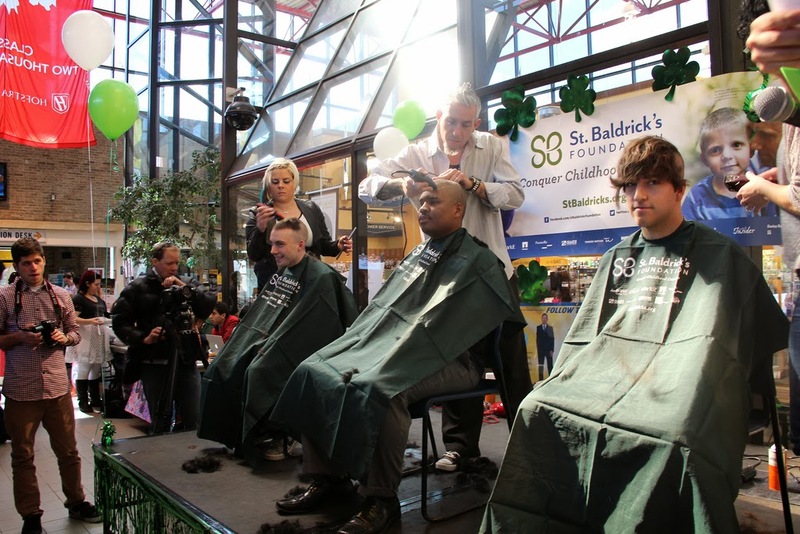 On Wednesday March 12th, Hofstra will be hosting it's six annual St. Baldrick's Fundraiser! This fundraiser is held in order for Hofstra to raise money for the St. Baldrick's Foundation which is dedicated to children's cancer research. 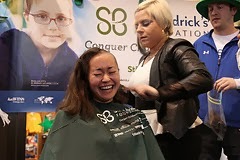 So what exactly happens during a St. Baldrick's event you may be wondering? Well, it is pretty self explanatory. Students, faculty, and staff set goals to collect a certain amount of donations, and agree to have their heads publicly shaven if their goal is met! This year, the goal for donations set by Hofstra was $25,000 and this goal has already been surpassed and is at $26,077! Thank you to everyone who donated to this amazing cause! Don't miss this event on Wednesday starting at 11:15 in the Student Center! Here are a couple photo's from last year's event!